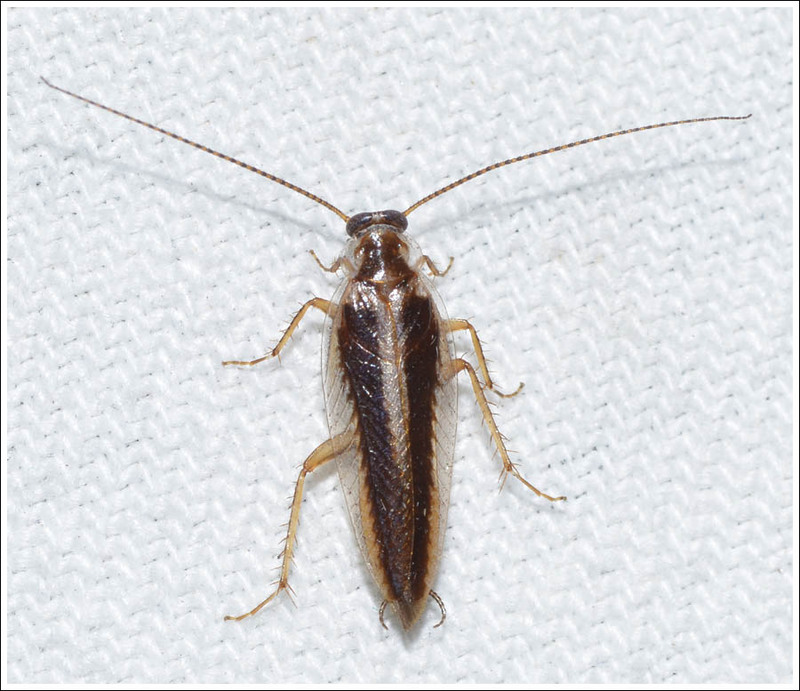 Lots of insects other than moths come to the moth light, and on some nights they can cover the sheet and make the job quite difficult. 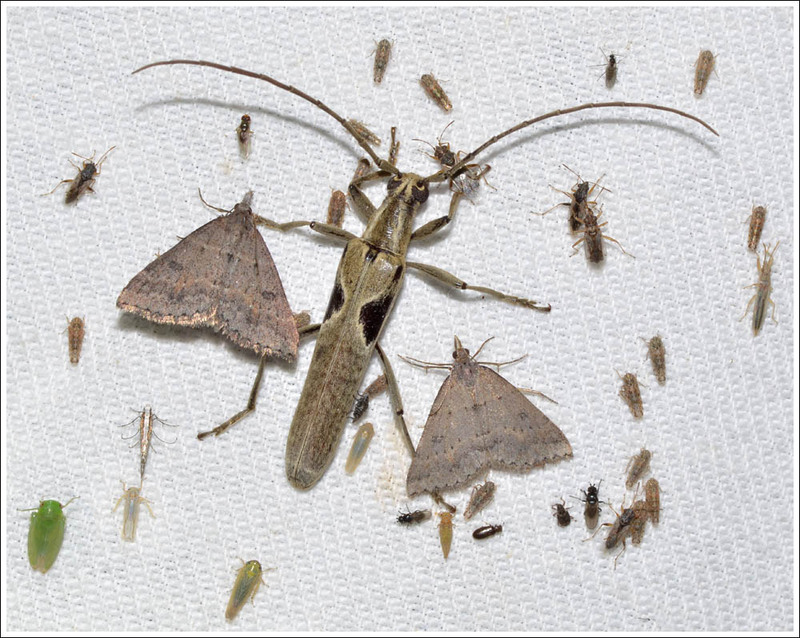 The first image was from such a night, a small part of the sheet with a longicorn beetle and many small insects with two Dichromodes obtusata. 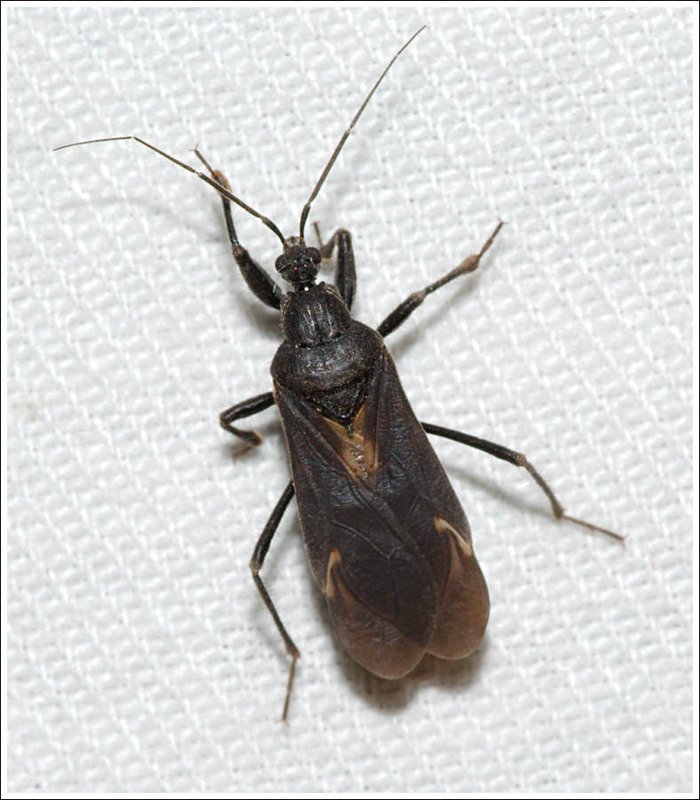 Assassin bugs of many types come to the light frequently. 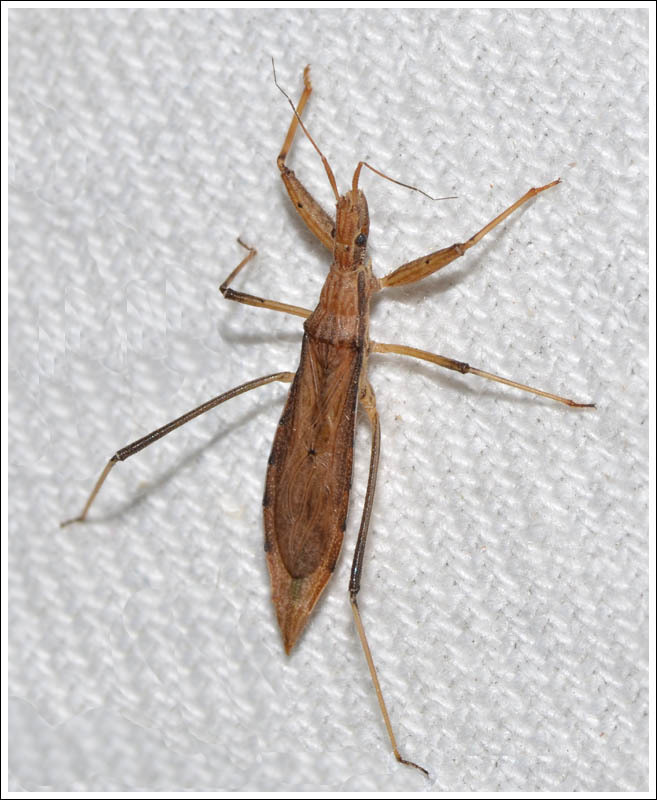 A similar insect is a damsel bug, also a predator of soft bodied insects. 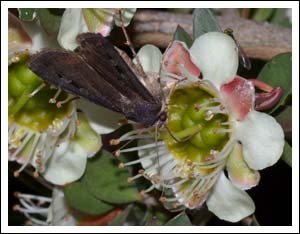 Wasps are common visitors, eg. 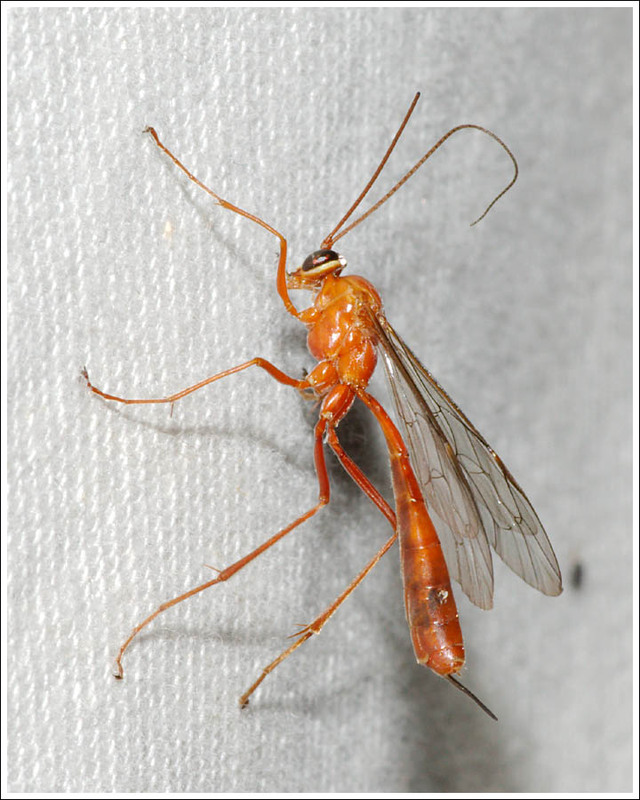 this ichneumon species. 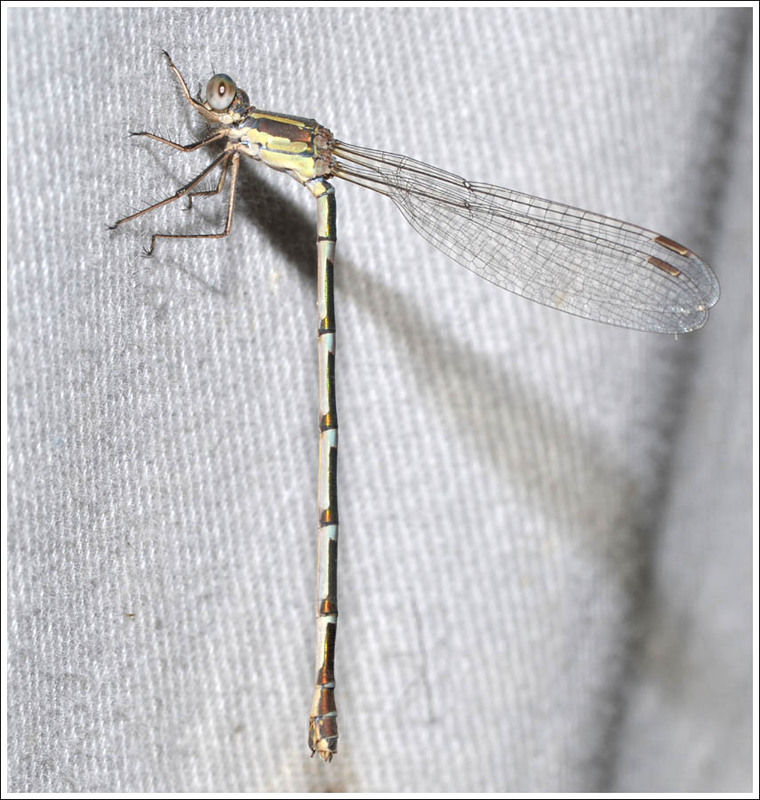 Less common are members of the Odonata, like this Austrolestes leda female. 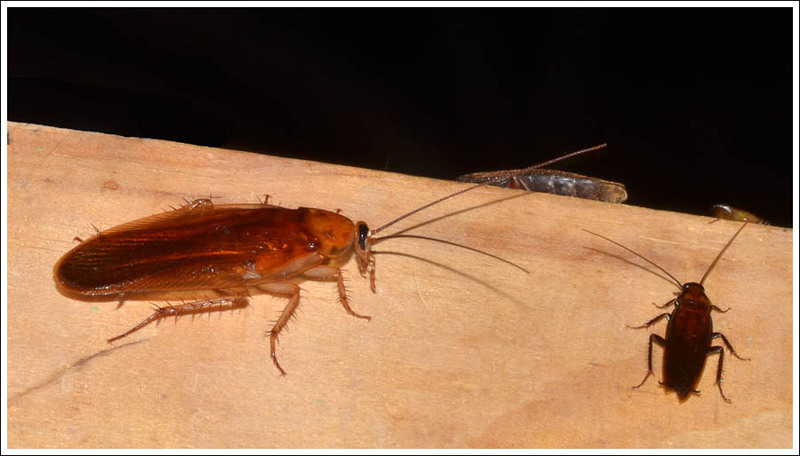 Very common are some of the cockroaches that abound in the bush. 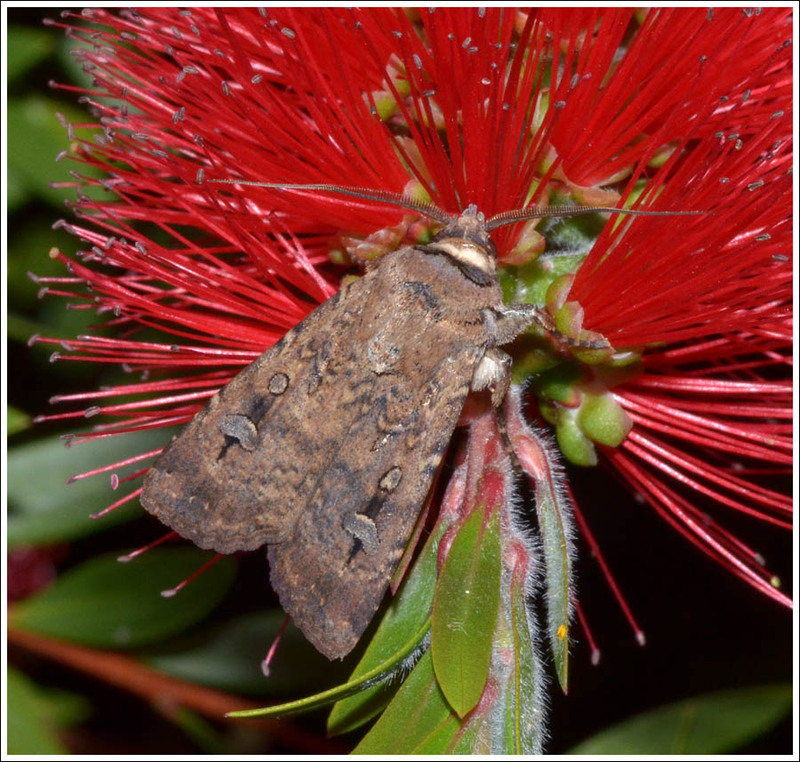 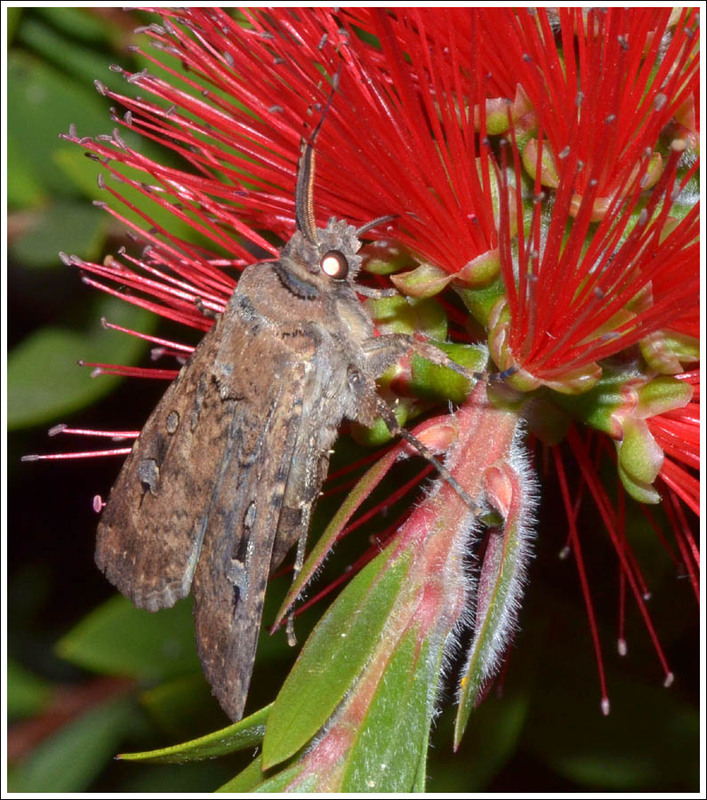 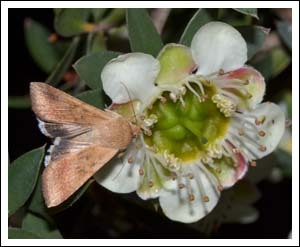 Visits to the garden at night recently have been notable for a whirling of moths around the flowering Callistemons and Leptospermum macrocarpum. Bogong Moths, Agrotis infusa, have been building up their body fat reserves to tide them over their summer aestivation in the cool rocky shelters in the mountains. 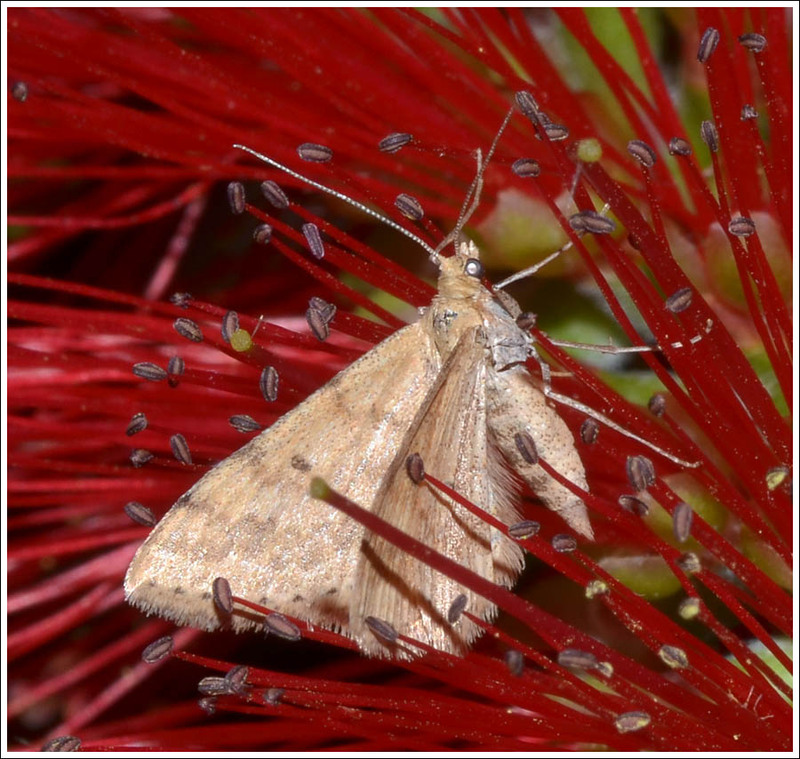 Other species have been nectaring too, Helicoverpa punctigera for example, and lately, small geometrids have been getting on in the act. 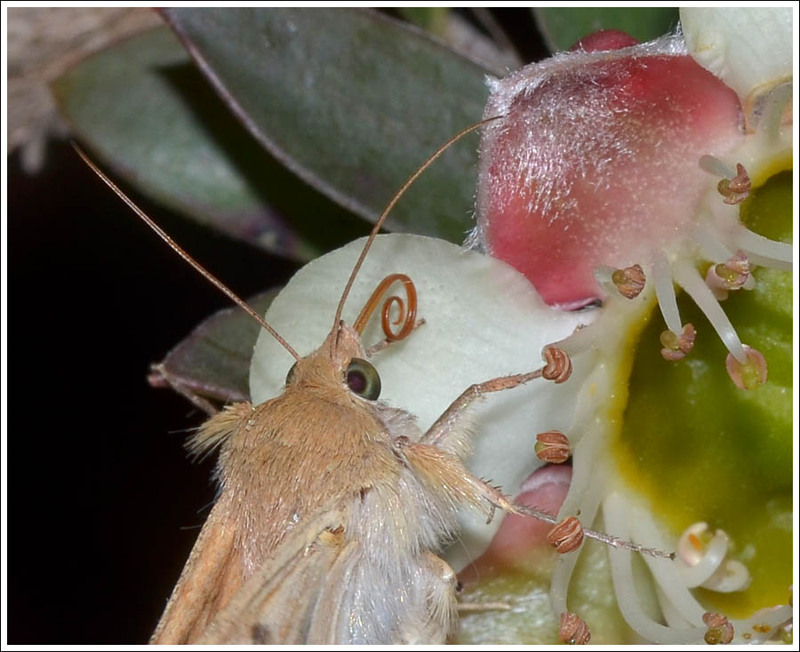 Here is a selection of photos of moths nectaring taken over several nights, the Bogongs were scarce on the last occasion suggesting that they are mostly on their way to the high country. 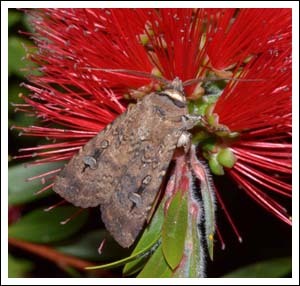 Agrotis infusa, the Bogong Moth. 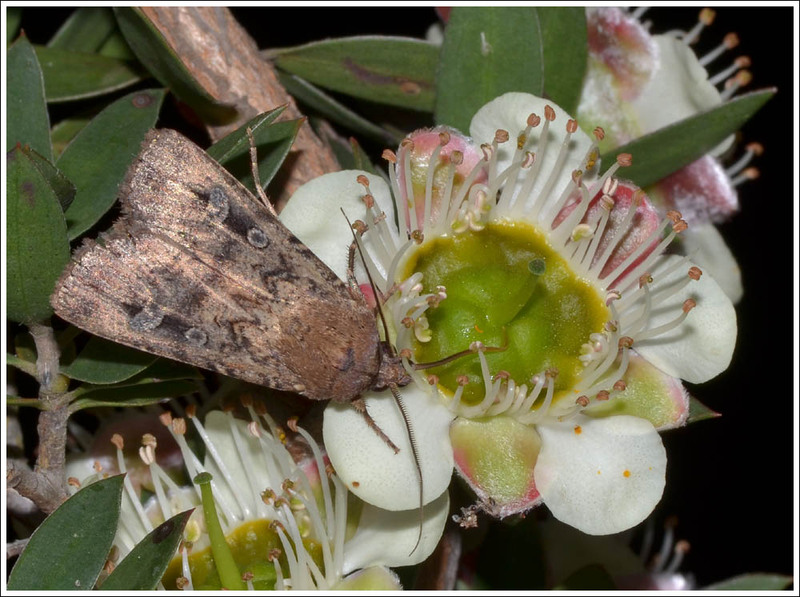 Helicoverpa punctigera, the Australian Native Budworm. Scopula rubraria, the Reddish Wave, pale form. 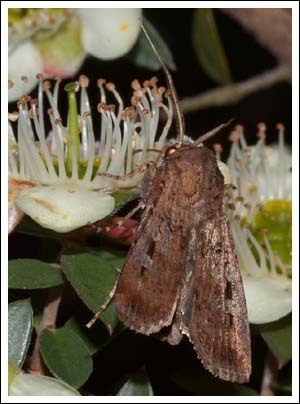 Posted on November 7, 2016 by PholodesPosted in Moths.